Reading's most active society? Probably. As a society we aim to enrich the student experience through high-profile events with the very best people in their respective industries. Below is our upcoming event, however we have many more events coming up here and you will realise that we are one of the most active society’s on campus and are constantly working on bringing you informative and inspiring events. On Friday the 20th January, there will be a brief introduction to Ideafest 2017 and a workshop that will aid students before applications begin on the 1st of February. 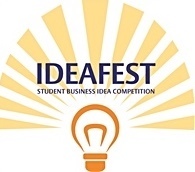 ​ The Entrepreneurship Society held an interactive IDEAFEST Chat session for potential entrants discuss their ideas and help with any questions they may have regarding IDEAFEST, the Student Business Idea Competition for 2016. This was a platform to get people together to discuss and critique with diverse topics and backgrounds. It encouraged people to think differently and share that way of thinking with other creative minds which is often a catalyst for creativity and innovation. 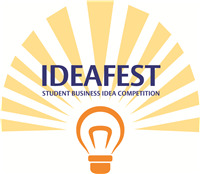 We wish all IDEAFEST participants the best of luck with their ideas and we look forward to organising more interactive events like this again in the future.